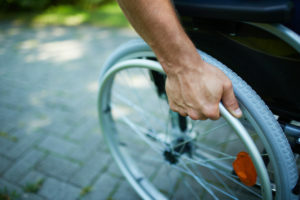 How a wheelchair assessment help? In order for us all to achieve our full potential we need to work, rest and play in postures that promote good health and prevent injuries. Individuals with medical conditions impacting on daily life may require additional equipment in order to achieve their maximum potential. We can offer you a range of services from assessments, product recommendations and trials together with user and carer equipment training. At Attend 2 Health our Physiotherapist, Joanne Willett has over 10 years experience working in NHS wheelchair and custom seating services, with a specialist interest in alternative powered wheelchair controls. Joanne is a member of the Chartered Society of Physiotherapists, Posture and Mobility Group and is registered with the Health and Care Professions Council. You are welcome to attend our clinic for assessment, alternatively we can assess you in your home. Assessments in schools, day centres or place of employment subject to permission. The assessment will last either 60 or 90 minutes depending on complexity. We will ask a few questions when you book an assessment to determine the assessment time required. The assessment will conclude with identification of product parameters that will help you achieve your particular goals along with a recommendation of equipment. You may wish to take this to an independent provider of equipment or we can arrange trials of equipment. We can arrange product or equipment trials at our clinic, but would recommend for more complex equipment to be trialled in the environment in which it is intended to be used. Purchasing of products or equipment will be between the client and provider. Delivery and handover of the products or equipment will be between the client and provider but Attend 2 Health can be present at the handover at your request to support the client. We can provide training to users and carers for many different products and equipment. If you choose to use Attend 2 Health for any of our wheelchair seating and posture services, with your permission we will contact you in the future to offer you reviews of your equipment. This could highlight any adjustments that may be required due to growth or changes in condition.